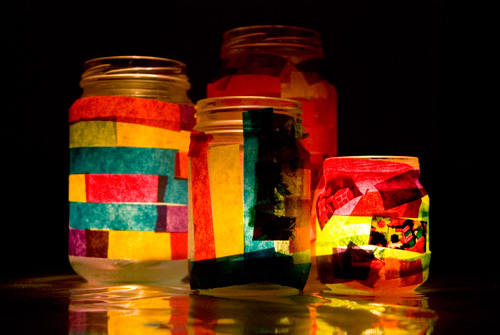 I really wanted to make autumn leaf lanterns like these, but by the time we got around to trying this out we found our big bag of autumn leaves had dried out and just crumbled when we tried to wrap them around the jar. With three disappointed kids I had to think fast. 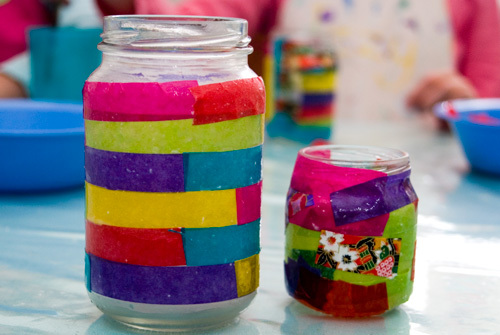 We already had the jars and the glue, but what could we use instead of leaves to make lanterns or luminaries? So I hunted around in the cupboards for a bit and we did some experimenting and here’s what we came up with. 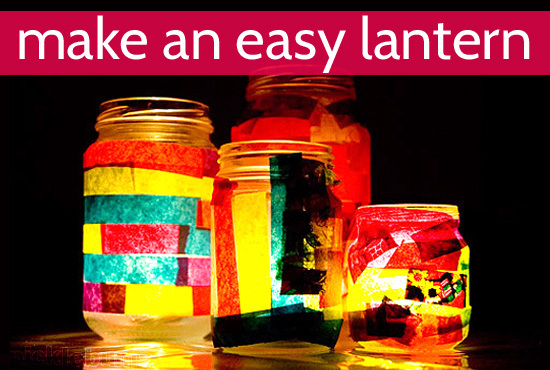 How to Make an Easy Lantern. PVA glue or other craft glue that dries clear (like modge podge or similar). 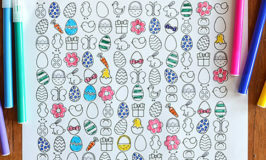 Paper of varying weights, and colours cut into small pieces or strips. 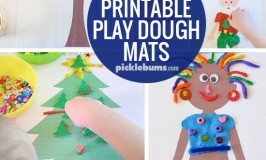 Cut up the paper in to smallish pieces. We found long thing strips worked well to wrap around the jars. We used some origami paper, some tissue paper and we also found some paper streamers that worked really well. 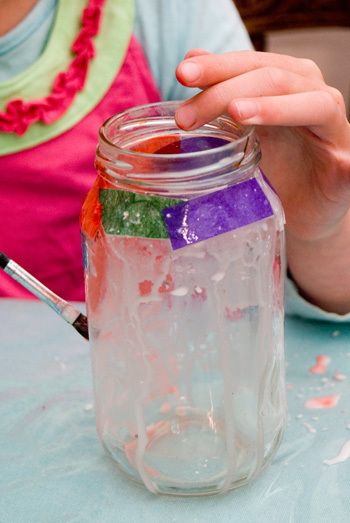 Cover a large-ish section of your jar with glue then begin to stick on the paper. Paint more glue over each piece of paper to help it to stick and to allow other paper to overlap it if you wish. 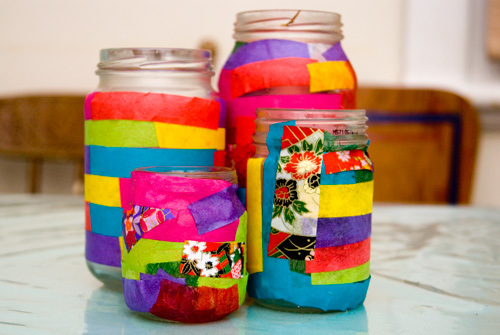 Continue gluing and adding paper until you have covered as much of the jar as you like. 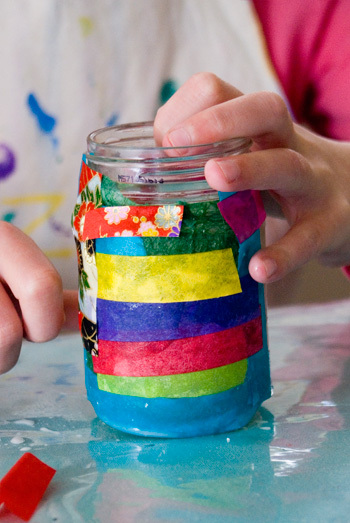 Paint a layer of glue over the entire jar when you are done, and set aside to dry. And that’s it… done! These lanterns were easy enough for my three year old to make (we gave him the smallest jar so it wouldn’t take him too long) and challenging enough to keep the seven year olds busy for a while. But best of all, when you light them up, they look beautiful! This is gorgeous I love it. I’m going to pin this for spring /summer when we start to sit outside for dinner! Those are absolutely beautiful, especially when lit! I love it! I am passing your post on right now.